The Starcraft AR-ONE Maxx was built by a company focused on blending tradition and innovation. The AR-ONE Maxx embodies those qualities with features like a cable-supported bunk-end system, one-piece seamless rubber roof, stabilizer jacks, and available 8,000-BTU A/C unit. Starcraft combines old world craftsmanship with meticulous attention to detail in the AR-ONE. 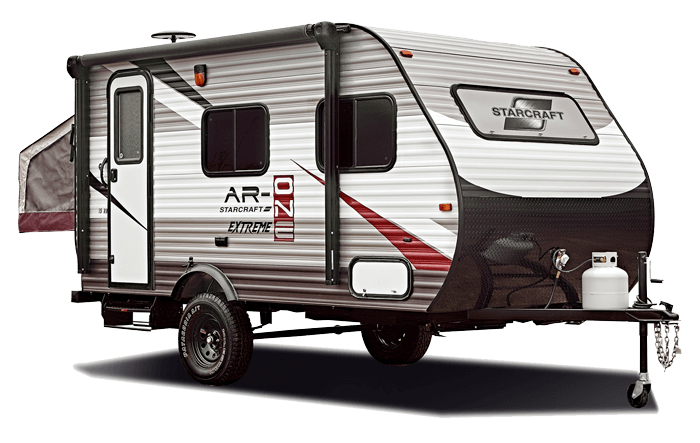 These ultra-lightweight travel trailers are some of the newest editions to Starcraft’s lineup.